We are not an attorney advertisement or solicitation, or email advice service. This is a free public service. DELegalHelpLink provides referral information about free legal services so individuals can request help from the most appropriate legal aid organization. Although this website provides information about free legal services, it does not provide any information about lawyers who can be hired for a fee. DELegalHelpLink.org also does not receive or return emails from individuals seeking legal information, advice, or referrals. DELegalHelpLink.org provides general information only. This is not legal advice. You can only obtain legal advice from a lawyer. If you need legal advice for a specific situation, contact an attorney. 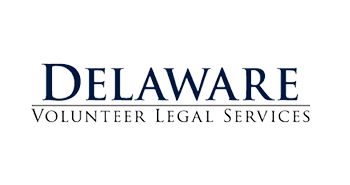 DELegalHelpLink.org makes every effort to keep the information on this site up to date, but laws change frequently and legal aid programs often close for intake. Therefore, DELegalHelpLink.org does not guarantee the accuracy of this information. Information on this website is not intended to be used as an advertisement of services or solicitation of business. Before hiring any attorney, you should investigate his or her reputation and qualifications. For your convenience, DELegalHelpLink.org contains links to other third-party sites. We do not endorse or verify the accuracy of information on those sites and are not responsible for the contents of any of these third-party resources. The inclusion of links on this site does not imply the endorsement, recommendation, or approval of that site. Many legal rights require you to take action within a certain period of time. If you do not take action within that time, you may lose your right to do so. You may want to consult with a lawyer immediately if you think there may be some deadline approaching.